Mantras and Mantra Yoga is thousands of years old. Mantra has been used to directly affect and effect ourselves and the universe in which we perceive ourselves to be. 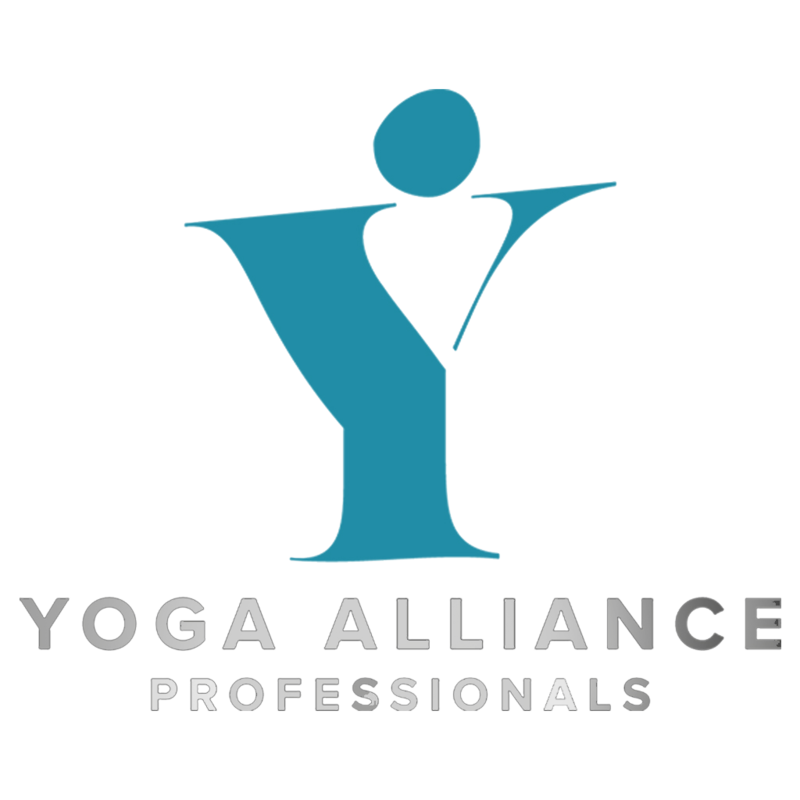 The YogaMindSpace Mantra recordings have a direct teaching lineage so you can guarantee their authenticity. The Mantras are available in different formats. • 'Pure Voice' with no accompaniment - These are perfect for personal or group practise and you may often find them used by yoga teachers in class. • Mantra with accompaniment - These are carefully crafted to create a multilevelled experience. 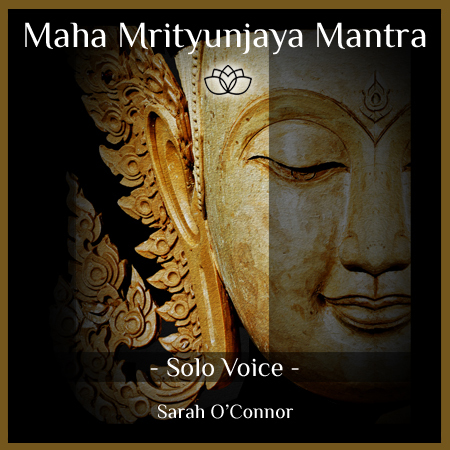 The Mantras are available on CD or as downloads. 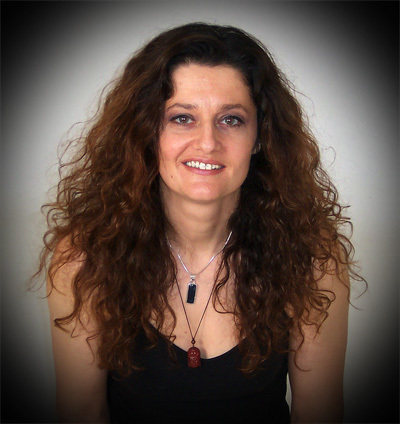 Sarah O'Connor has been teaching for over 20 years and teaching mantra for 15 years. 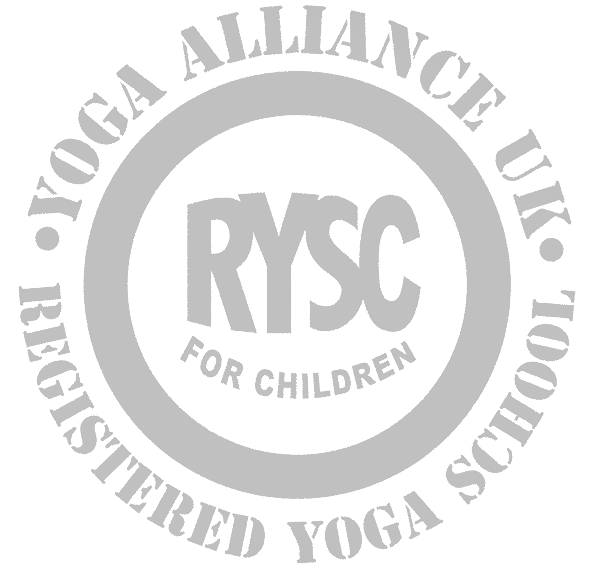 She is a Senior Yoga Teacher and Yoga Elder certified by British Wheel of Yoga, Yoga Alliance and of course the Independent Yoga Network. Oṃ maṇi padme hūṃ (Sanskrit: ओं मणिपद्मे हूं, IPA: [õːː məɳipəd̪meː ɦũː]) is the six syllabled mantra particularly associated with the four-armed Shadakshari form of Avalokiteshvara (Tibetan Jainraisig, Chinese Guanyin), the bodhisattva of compassion. Mani means "jewel" or "bead" and Padma means "the lotus flower", the Buddhist Sacred Flower. The mantra is especially revered by devotees of the Dalai Lama, as he is said to be an incarnation of Chenrezig or Avalokiteshvara. It is commonly carved onto rocks or written on paper which is inserted into prayer wheels, said to increase the mantra's effects. 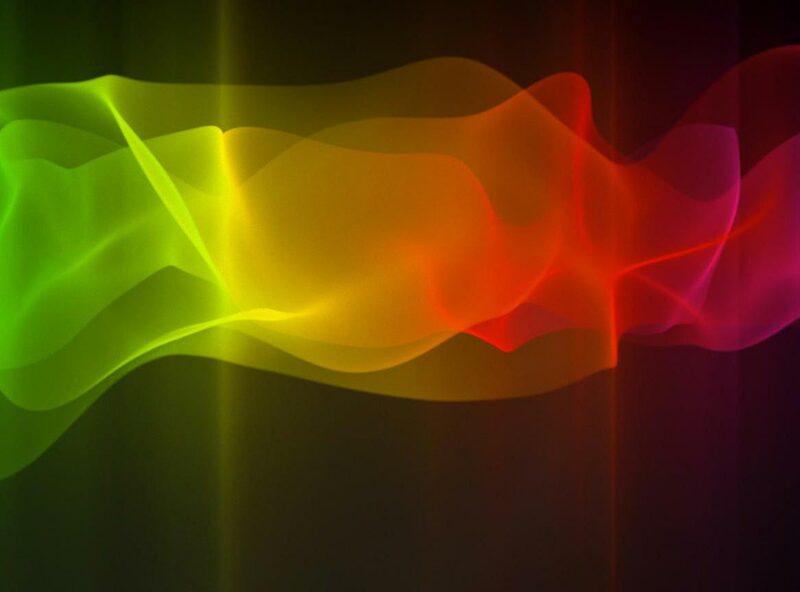 Mantras may be interpreted by practitioners in many ways, or even as mere sequences of sound whose effects lie beyond strict meaning. The middle part of the mantra, maṇipadme, is often interpreted as "jewel in the lotus," Sanskrit maṇí "jewel, gem, cintamani" and the locative of padma "lotus", but according to Donald Lopez it is much more likely that maṇipadme is in fact a vocative, not a locative, addressing a bodhisattva called maṇipadma, "Jewel-Lotus"- an alternate epithet of the bodhisattva Avalokitesvara. It is preceded by the oṃ syllable and followed by the hūṃ syllable, both interjections without linguistic meaning. Lopez also notes that the majority of Tibetan Buddhist texts have regarded the translation of the mantra as secondary, focusing instead on the correspondence of the six syllables of the mantra to various other groupings of six in the Buddhist tradition. For example, in the Chenrezig Sadhana, Tsangsar Tulku Rinpoche expands upon the mantra's meaning, taking its six syllables to represent the purification of the six realms of existence. The Mahamrityunjaya mantra is a potent combination of sounds. It is said that, if repeated with faith, over time, leads, not only to victory over fear and illness. It is stimulating and heating (unlike the Gayatri mantra, which is soothing and cooling). It is said to bestow longevity, and eventually cure illness. It wards off evil or negative forces by creating a protective shield around the practitioner. It is said to destroy sorrow and poverty, and to fulfill one's desires. Anyone who wishes to remove obstacles in life and overcome difficult situations or illness should repeat this mantra regularly. Try it before bed,and it will ensure a better sleep and more positive dreams. This mantra is thought to be beneficial for physical, mental, and emotional balance. It is said to be a great cure for re-balancing the body from illness of all kinds. OM - Om or Aum is thought to contain THE original vibration sound, the sound of creation, the sound from which all others originate. To the followers of Brama (the being from which all humans evolved), Om is not just the universal sound; but the sound of the universe itself. Om is a recognition of reality. It is the universe, past, present, and future, and whatever exists outside of that time and space. Om or Aum represents the world around us in time, and the world known by the meditative awakended mind in which time has no meaning. Om is enlightenment and non-enlightenment. Shanti is simple word with a delicate sound; evoking and meaning "peace". Shanti is usually chanted three times, as meaning the Threefold Peace in word, thought, and action (i.e. peace in the entirety of one's being). 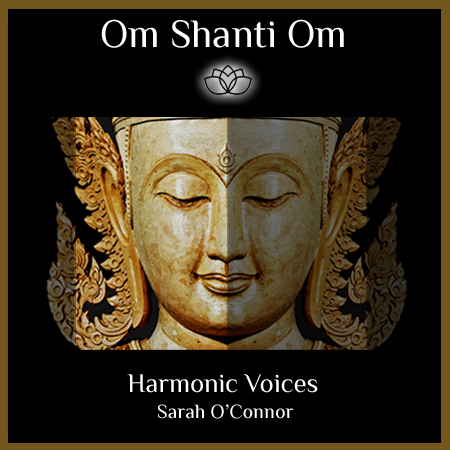 However in this recording shanti is delicately placed between Om and is considered a chant to open the mind, heart and body to the concept of peace on many levels. The recorded Chant or "Mantra" is intended to start the process of peace around the practitioner. Listening and absorbing the Mantra is just the start. Slowly the Mantra will affect the mental processes and create a peace within the listener. 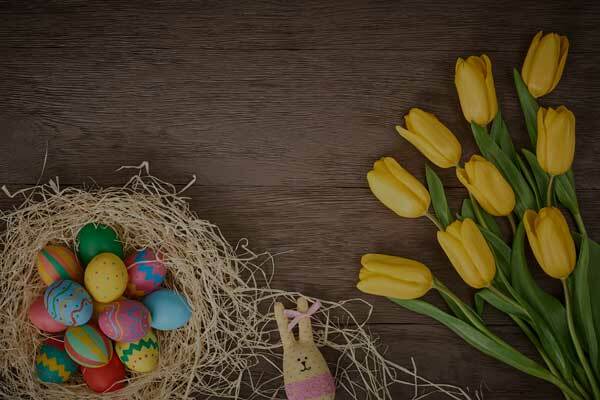 Chanting along with the recording will provide you with 108 rounds of the Mantra and may be used a 'quick' way to put you into the right frame of mind for your day, your work, your family or yourself. 108 is a sacred number in Mantra and provides the best way to attune the the Mantra vibration.